I'm a little self-concious about the fact that I'm doing another skirt. How many skirts have I made?? Goodness! But I've always wanted to try the paper bag waist skirt, and as long as I'm making it, I may as well share it with my dear friends, right? So, this is pretty easy in concept. 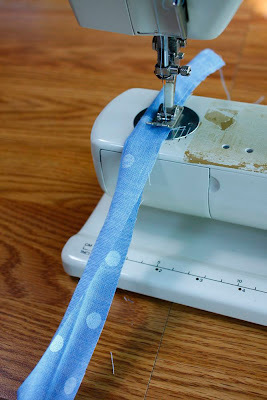 Shorten a long skirt and use the excess fabric to make a ruffle and a sash! That is probably all the instructions many of you will need. 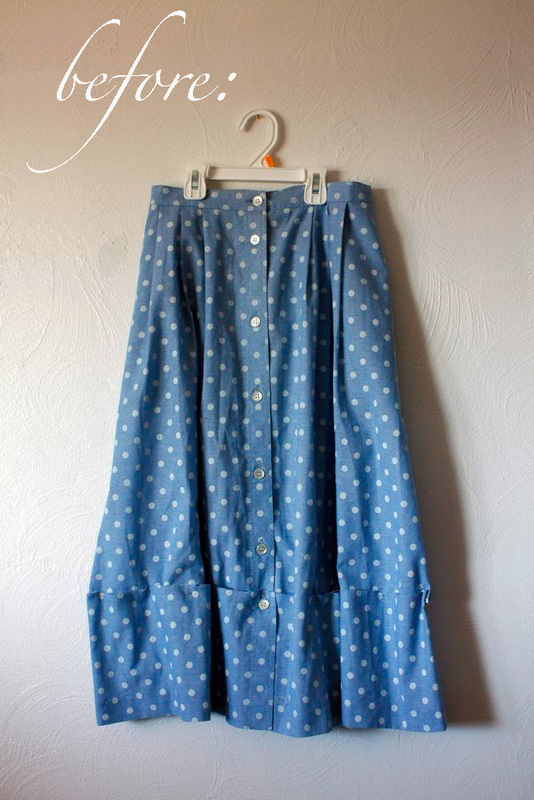 I started with this vintage polka-dotted skirt that I've had for a while. It was an awkward length (and a size 20), but for some reason I needed it. I guess it was the polka-dots. Just cut your skirt off an inch or two longer than you'd like it, fold the bottom over twice and hem. 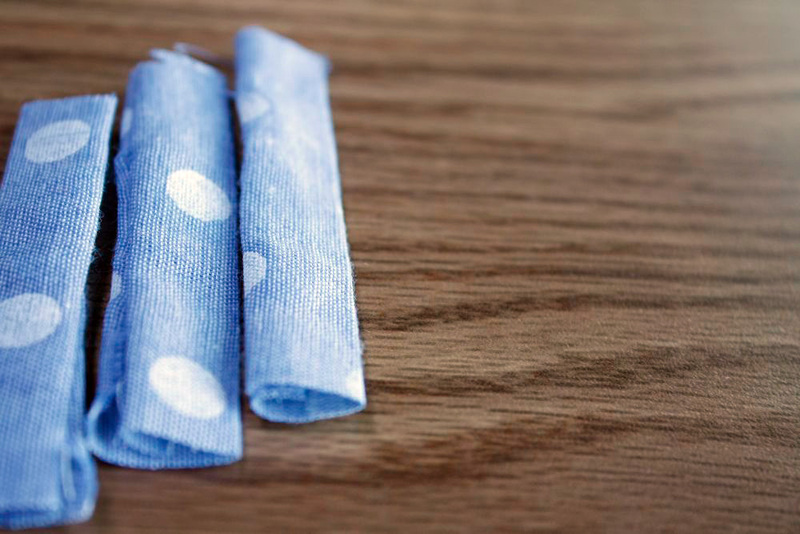 You'll want to serge or zig-zag the raw edge of your strip to prevent fraying. Ruffle the serged edge by stitching with a long, straight stitch, then pulling one thread to gather. Then you'll just need to make a few belt loops. 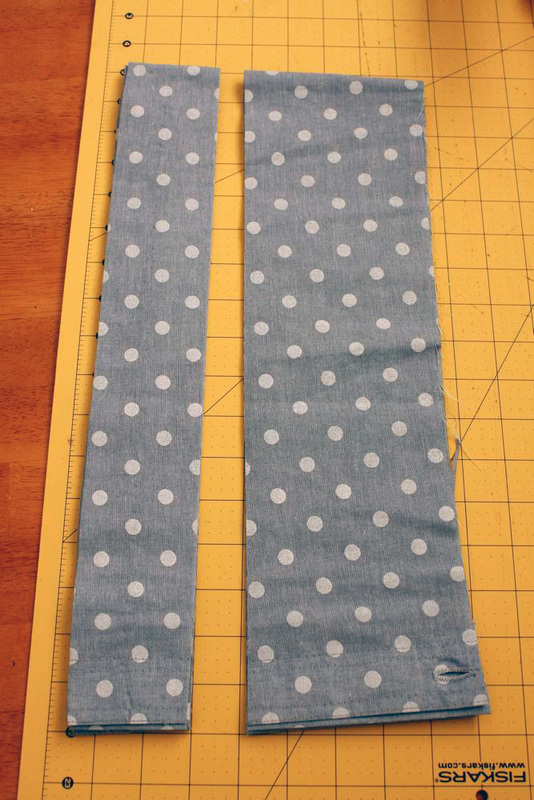 Sew a 1.5"x 15" strip in half, right sides together. Turn it right side out and cut into 5 even pieces. 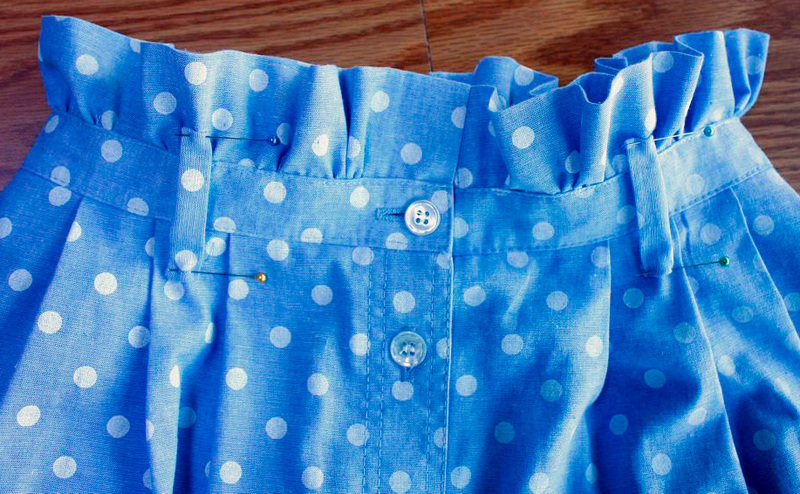 Fold the tops and bottoms in, and sew to the skirt. I didn't get a photo of the sash (sorry), but all I did was hem all four sides of a 5"x66" strip of fabric! So, my heart is just bursting today. I am so happy! Not for any particular reason. I just feel like running out into the street and hugging someone! Of course it's after midnight as I write this, so I'm thinking that if I found anyone, they would be more than a little frightened by that. But do you ever have happy days like that? When you just want to literally skip along? I hope so. In fact, I hope that's today for you! Turned out way cute! I'll have to find a skirt similar and try it someday. I would be willing to bet money that your awesome feeling is based on the fact that your pictures look SO UNREASONABLY AWESOME!! 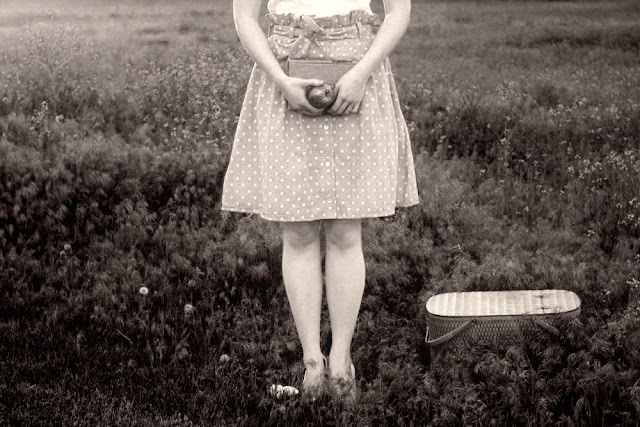 You're really putting that how-to-take-suh-weet-pictures book to use, girl! Honestly, the photography here is making me feel halfway like running into the street for some hug giveaways, too! Another possible cause: the skirt. It has come out looking AWFULLY nice. Yay you! I love these paper bag skirts. Thank you so much for this tutorial.. Definitely making one for me and my little girl! just beautiful disney! You're always so inspiring. :) and I'm so happy that you're happy, I could use a little cheering up today. 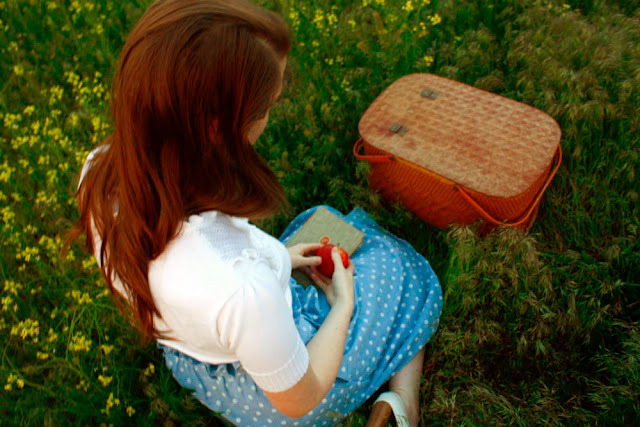 When I first saw this, it reminded me of another skirt I had seen lately, the Cloudless Skies Paperbag skirt from Anthropologie! I was actually thinking about trying to re-make it myself, and therefore trying to figure out how to make it. But you did all the work for me! Thanks! Wow, that is so cute! You are so creative! Disney, you should feel AWESOME! you are AWESOME...I love this tutorial and the skirt. 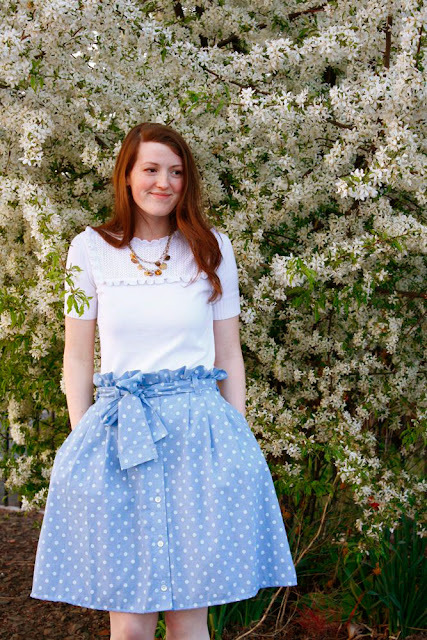 You have inspired me to run out to my local thirft store and find a polka dot skirt like yours! Love this!! I hope you have a fabulous week!!!! You are so creative! You turned something really homely into something really cute! So cute! 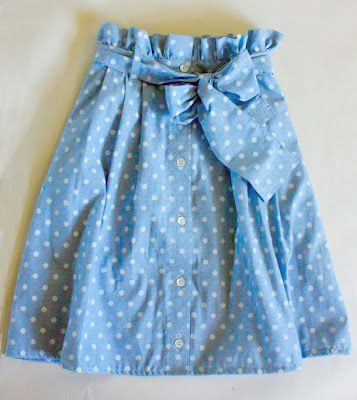 I now want to go find a skirt at a thrift store to make a cute ruffle skirt! Thanks, Disney! So adorable--and I just love your pictures!!! I'm happy that you are happy! That's really, Disney. I've never seen that done. Too cute! Great work & thanks for the tutorial! what a transformation ! the photos are gorgeous !!! I've been so glad to see more posts from your blog pop up in my google reader lately. I love your blog, I love this skirt (especially the polka dots), and I love your photographs! So pretty, simple, and creative. Thank you for this tutorial, it looks so pretty. I just love your stuff! 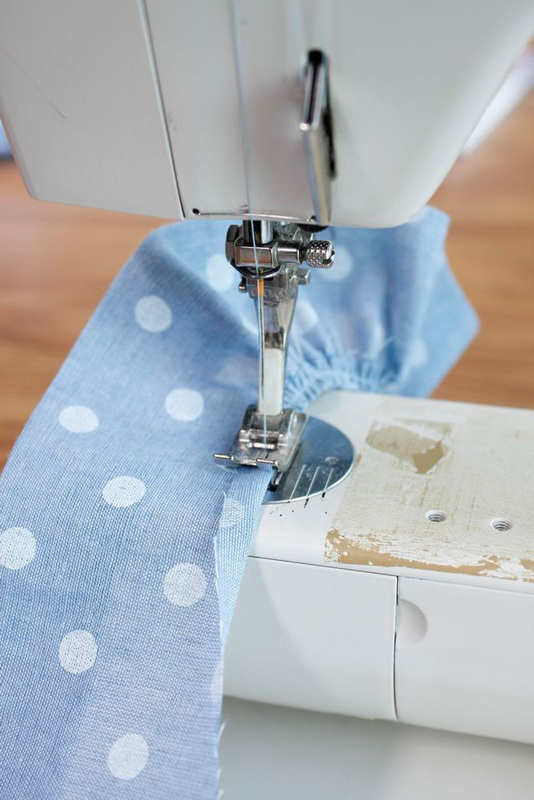 I can't wait to get my sewing room ready because I'm going to using a lot of your tutorials as a guide! About the "wanting to run in the street and hug someone," you remind me of my sister! She gets all giddy like that too. so cute! I wondered if you'd be willing to make another quick visit to my blog? I have a conundrum that I've posted to get some help from readers. I can't choose between some skirts that I bought, but can't keep them all. Help? 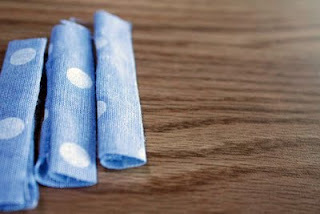 Also, I just thought I'd let you know that I pinned this tutorial on my Pinterest board. If you don't know what that is, it's basically just like an online inspiration board. If you would like an invitation to become part of it, I would love to invite you! Oh my hannah! 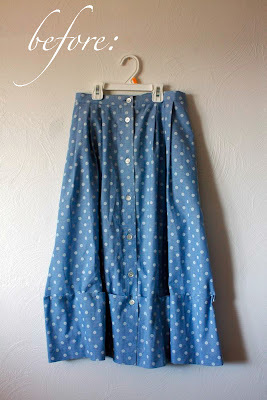 I purchased a bunch of skirts just like that at the thrift store to do something similar to... but I've been wanting to make a paper bag skirt and THIS is just about the easiest tutorial I've found for it! Yea!! Thanks! I just love your ruffles and stuff Disney. Thank you for coming back to my computer world. 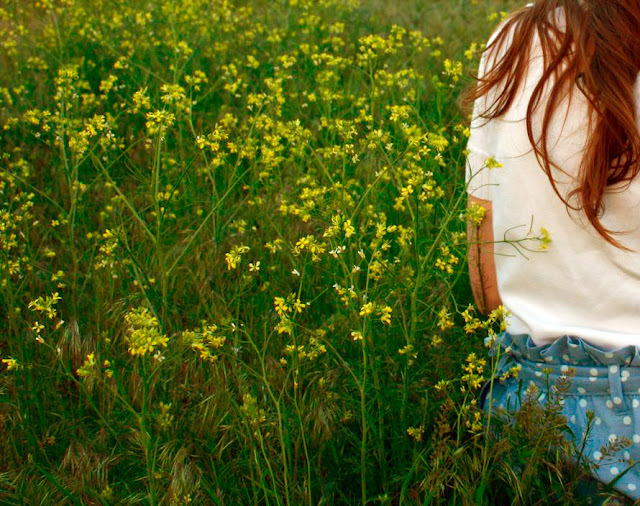 It wasn´t the same without you. Now things are finally normal again when I go on my weekly blog round. You know what? You are the best. -Greetings from Iceland. I love happy days like that! 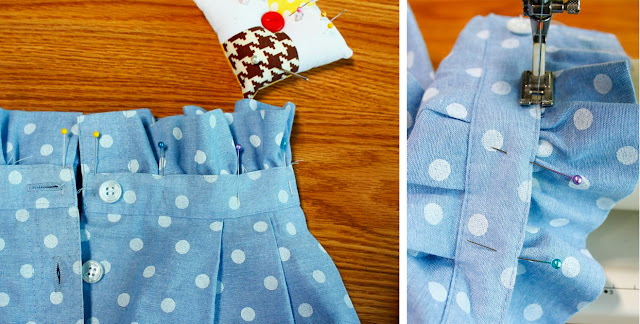 Great tutorial, I don't think I could pull off the paper bag skirt, but you look lovely! Yes! I'm so happy your back! I didn't even know it. I haven't posted on my blog in a loong time. I told you you could make it! That's a gorgeous skirt! Polka dots and buttons and ruffles and a bow! I want one! ;) Great job! 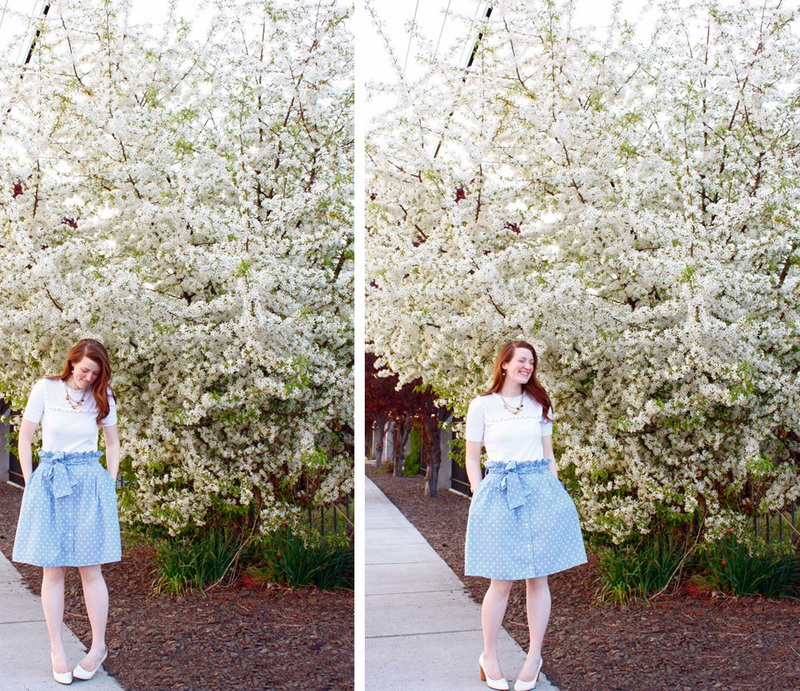 Cute skirt and great pictures! What a great skirt! Thanks for sharing! 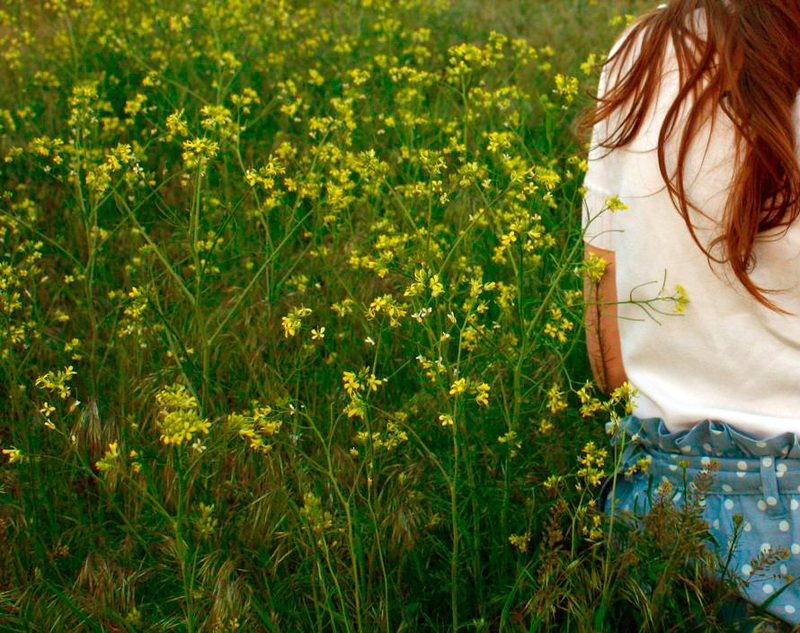 Isn't it great when you feel happy for no reason? Adorable!! Every time I read your tutorials you make me smile. 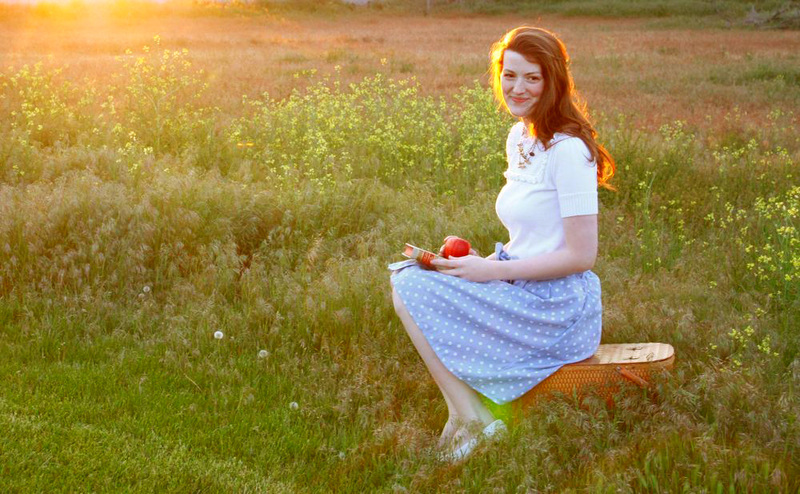 You could make a skirt every day and you would still have a captive audience. Great skirt! The ruffle and sash compliment the sweetness of the polka dots. I know what I'm trying to make this long weekend! & 3)how gorgeous the last photo of you is in this post. Wow! Whosoever clicked those photographs - I guess your dear husband - is a really good photographer! Very pretty pictures Disney!! Who takes your wonderful pics???! They are fab! I love this skirt. And I love the pics of you - especially with the sun shining in the back. Beautiful, lovely, wonderful pics. That is so gorgeous! You can never have too many skirts so don't worry about that. :) I adore polka dots too and line most of my purses with dots! I LOVE this idea! 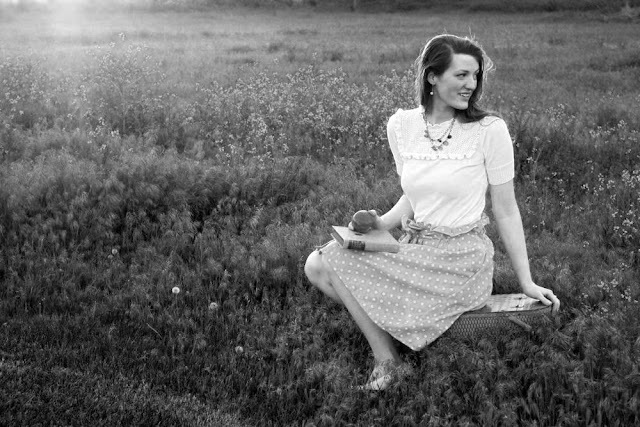 I can't wait to get over to the thrift store and pick out my new vintage size 20 skirt for the summer! The photos are beautiful. And the skirt is a.m.a.z.i.n.g. I am dying to make one like it!! You did a great job and thanks for sharing a how-to-do!!! Too cool. The vintage look is <3. Oh, I TOTALLY know what you mean! I'm having a happy day right now!!!!!! (Can you tell?) AWSOME blog by the way!!!!! This is so lovely! I am very new to sewing, so forgive me if this is a silly question, but I noticed that you mentioned the original skirt was about a size 20. Did you have to do something special to take in the waistband, or is cinching the oversize waistband with a sash what creates the paper bag effect? Thanks!